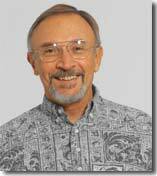 ACCL » Kupchak, Kenneth R.
Best Lawyers in Hawaii in construction, mergers, corporate law, eminant domain, land use litigation. Co-author, Arrow of Time: Vested Rights and Development Agreements in Hawaii, 2004 U. Haw. L. Rev.